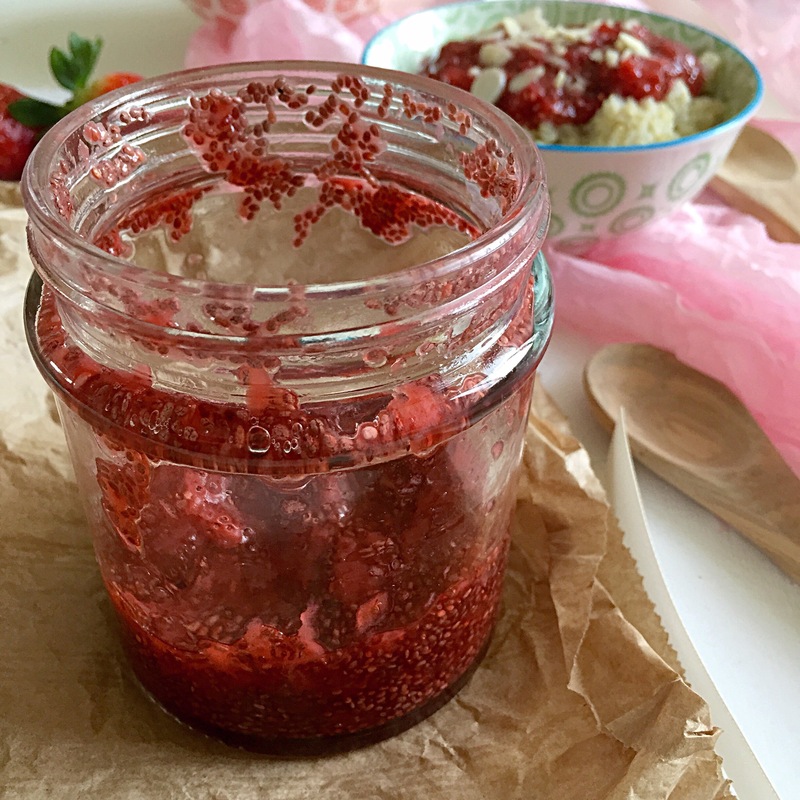 I’m really into chia seeds jam at the moment. I can eat it every day! I put it on a slice of paleo bread or rice cake, stir it into my morning porridge or just have it on its own. It is so delicious and fresh, it tastes like jam you can buy at the supermarket. The difference is that this is made without processed sugar or pectin and has no harmful additives. Main ingredients are chia seeds, fresh fruit and maple syrup. Maple syrup is optional; you can leave it out completely. Because of its all natural ingredients, it will only last in the fridge for a week, if it lasts that long! Chia seeds are among the healthiest foods in the world! They are gluten-free, high in dietary fibre, high in protein, Omega 3, and antioxidants. Did you know that chia seeds contain seven times more Vitamin C than oranges? They are a super food for your brain, heart, skin, hair and nails. 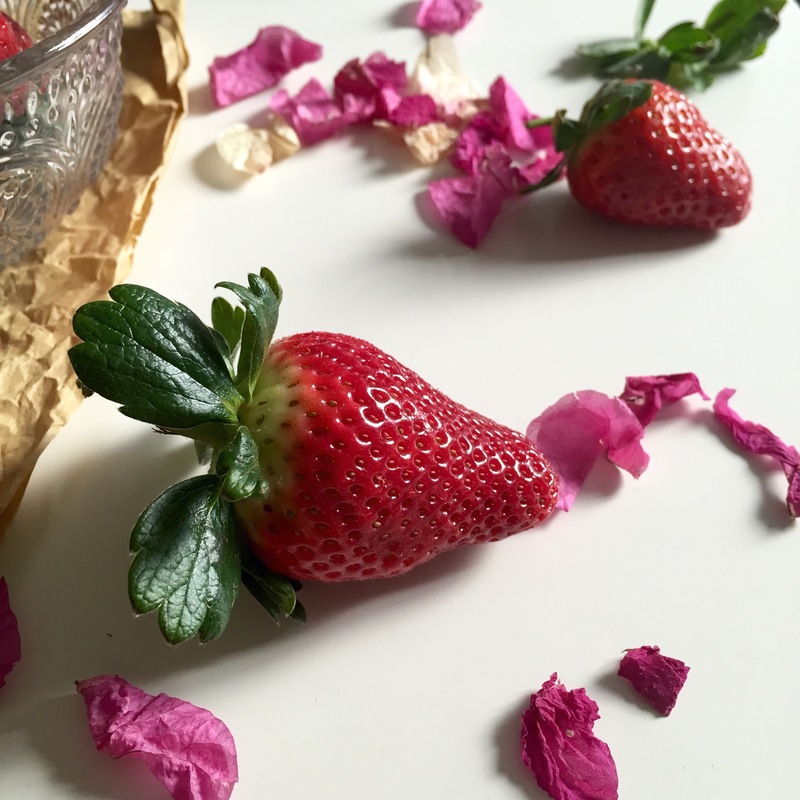 – Pre-wash the strawberries and remove all green parts. 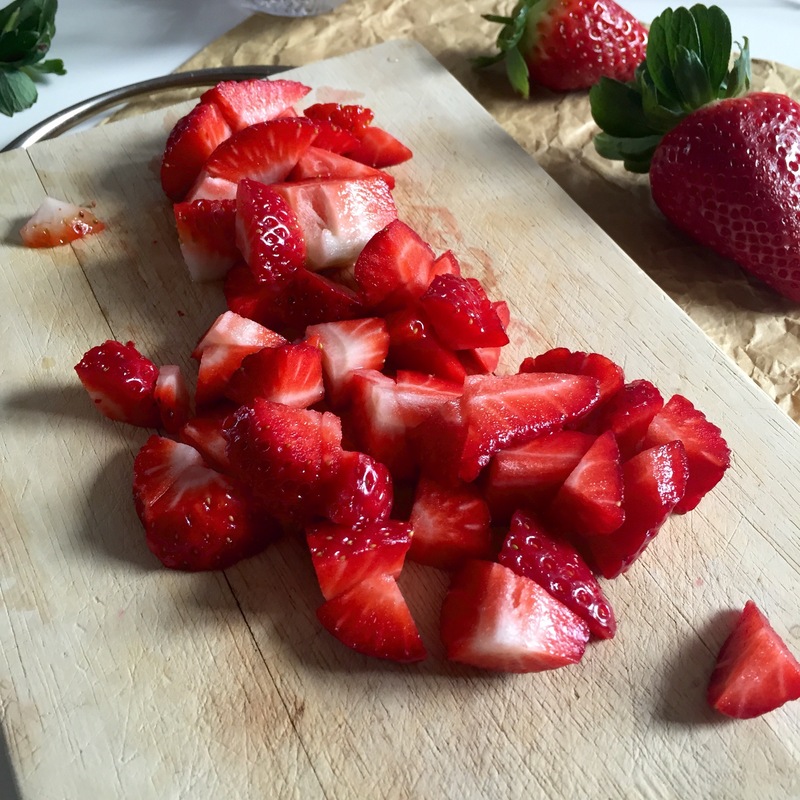 – Cut the strawberries into small pieces, and put them into a saucepan over a medium heat. 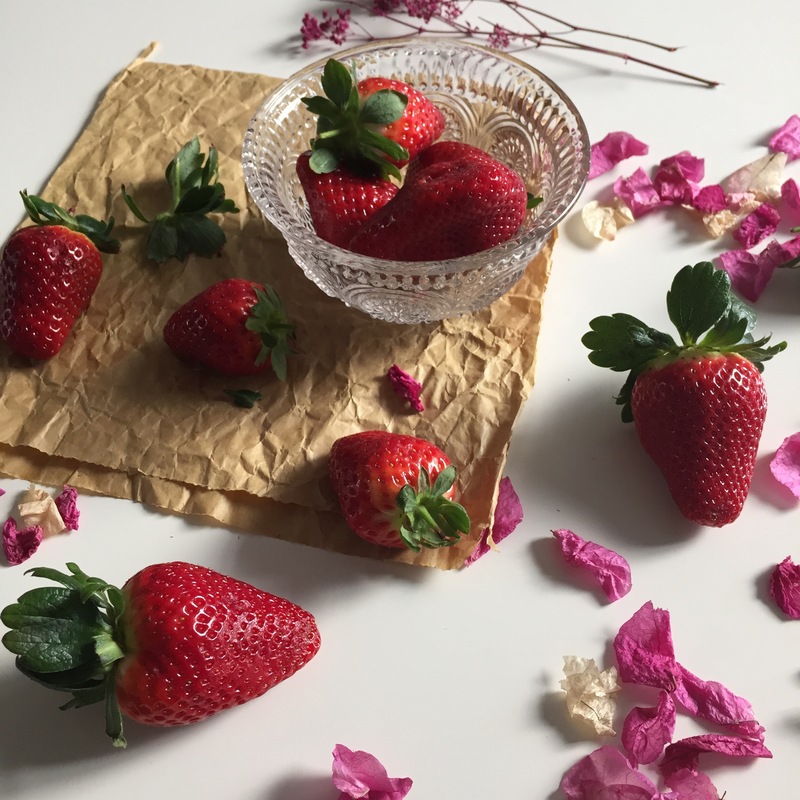 – When you start seeing bubbles coming up, reduce it to a low heat and simmer for about 5 minutes or until the strawberries become soft. – With the fork mash the strawberries but leave some bigger pieces, add maple syrup and simmer for another couple of minutes. – Remove from the heat, set aside and let it to cool. – Once cool, stir in chia seeds and mix well. Put the mixture in an airtight glass jar and let it set in the fridge overnight. You might have to add some more chia seeds or water, as the liquid levels in fruits vary. This is great!! I’ll have to try this. I’ve had success with blueberry jam with no pectin or other coagulant, and I tried with strawberry..didn’t work out, but your looks great. Thanks!